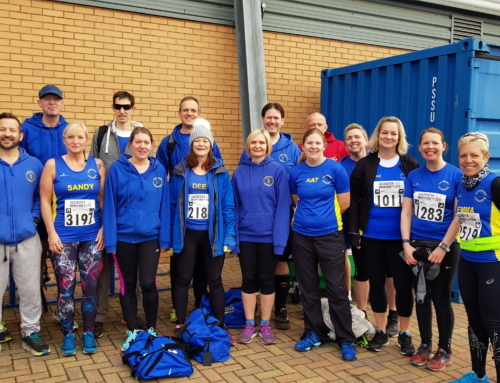 Last week Sudbury Joggers was teamed up with Newmarket Joggers to participate in the Suffolk League Cross Country at Fitton Lake. 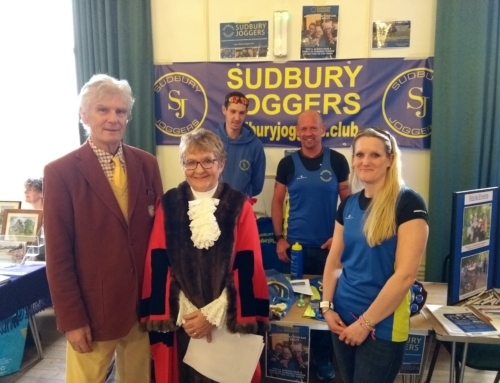 The results for the race on Sunday, March 10th and Andy Buck finished first for Sudbury Joggers in a time of 29:42 with Wayne Mumford finishing shortly afterwards in 32:19. 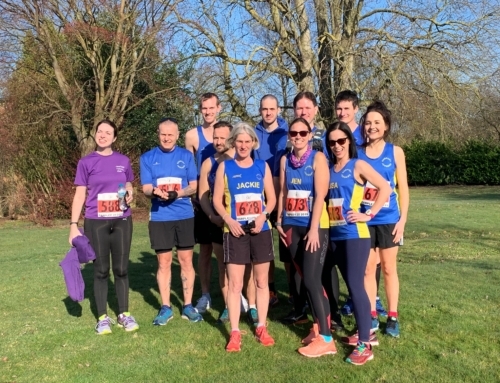 Combined Men’s and Woman’s team results currently have the join Newmarket Joggers and Sudbury Joggers team (N&S) placed 6th, 6th and 5th for teams A, B and C respectively. The final race of the Suffolk Winter League is on March 24th at Haverhill. This week’s races started with Darren Barfield and Kieran Hayles running the 20/20 Fission 20-mile race in Gloucestershire on Saturday, March 16th. Finishing in 7th place was Kieran Hayles in a time of 2:06:43. Darren Barfield completed the furthest distance he’s run in a time of 2:24:22. On Sunday, March 17th, Jamie Fittock was on the east side of Swindon running the Reading Half Marathon where he finished in a time of 1:30:46. For Jamie, a time of 1 hour 30 minutes might not have scored him a personal best, but with six weeks before the London Marathon he says it is a “good test”. 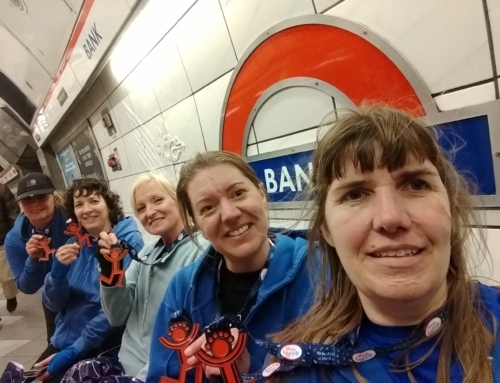 On the topic of the London Marathon, Ann Alexander and Jodie Budd held their 80’s disco night to raise money for the chosen charities of British Blind Sport and Children with Cancer UK (respectively). The event held at The Delphi Club saw many people don bright outfits of past and dance the night away to help Jodie and Ann raise a total of £1,500. Ann and Jodie had many thank yous to give out that included Cloud 9 for the disco, to the local businesses in and around Sudbury who donated raffle prizes, and to the family and friends that assisted setting up, cooking, serving and clearing away.